Formed in Australia, August 1914. Attached to New Zealand and Australian Division December 1914 to April 1915 and May 1915 to February 1916. Assigned to Anzac Mounted Division March 1916. Formed in Australia, September 1914. Attached to New Zealand and Australian Division December 1914 to April 1915. Assigned to Anzac Mounted Division March 1916. Formed in Australia, October 1914. 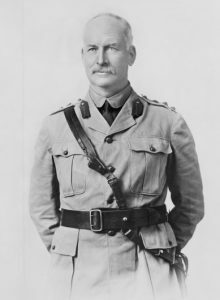 Attached to New Zealand and Australian Division December 1914 – April 1915. Assigned to Anzac Mounted Division March 1916. Attached to British Imperial Mounted Division February 1917. Assigned to Australian Mounted Division June 1917. Formed in Australia, 4 March 1915. Shipped to Egypt without horses where broken up 26 August 1915. Reformed in Egypt, February 1917. 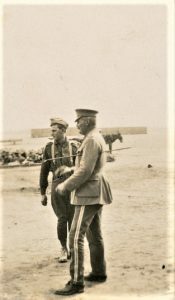 Attached to British Imperial Mounted Division February 1917. Assigned to Australian Mounted Division June 1917. Formed in New South Wales August 1914 for 1st Light Horse Brigade. Departed Sydney Star of Victoria 19 October 1914. 1st Reinforcements Reinforcements departed Sydney Boorara 20 December 1914, 3rd Reinforcements departed Sydney Anglo-Egyptian 8 February 1915, 3rd Reinforcements departed Sydney Clan McCorquodale 6 February 1915, 4th Reinforcements departedSydney Shropshire 17 March 1915, 5th Reinforcements departed Newcastle Bakara 22 May 1915, 6th Reinforcements departed Sydney Clan McEwan 30 June 1915, 7th Reinforcements departed Sydney Marere 16 August 1915, 8th Reinforcements departed Sydney Runic 9 August 1915, 9th Reinforcements departed Sydney Argyleshire 30 September 1915, 10th Reinforcements departed Sydney Pera 13 October 1915, 11th Reinforcements departed SydneyMashobra 4 October 1915 and Hawkes Bay 23 October 1915, 12th Reinforcements departed Sydney Hawkes Bay 23 October 1915 and Beltana 9 November 1915, 13th Reinforcements departed Sydney Aeneas 20 December 1915, 14th Reinforcements departed Sydney Osterley 15 January 1916, 15th Reinforcements departed SydneyArmidale 21 March 1916, 16th Reinforcements departed Sydney Anglo-Egyptian 12 May 1916, 17th Reinforcements departed Sydney Port MacQuarie 26 April 1916, 18th Reinforcements departed Sydney Hororata 2 May 1916, 19th Reinforcements departed Sydney Mongolia 18 July 1916, 20th Reinforcements departed Sydney Malwa 22 July 1916, 21st Reinforcements departed Sydney Mooltan 19 August 1916, 22nd Reinforcements departed Sydney Katuna 23 November 1916, 23rd Reinforcements departed Sydney Karmala 3 February 1917, 24th Reinforcements departed Sydney Itria 28 February 1917 and Boorara 10 May 1917, 25th Reinforcements departed Sydney Boorara10 May 1917, 26th Reinforcements departed Sydney Morea 17 February 1917, 27th Reinforcements departed Sydney Port Lincoln 19 May 1917, 28th Reinforcements departed Sydney Port Lincoln 11 June 1917, Sydney Kyarra 3 September 1917 and Melbourne Commonwealth 2 November 1917, 29th Reinforcements departed SydneyKyarra 3 September 1917, 30th Reinforcements departed Melbourne Commonwealth 2 November 1917, 31st Reinforcements departed Melbourne Commonwealth 2 November 1917, 32nd Reinforcements departed Melbourne Commonwealth 2 November 1917, 33rd Reinforcements departed Sydney Canberra 16 November 1917, 34th Reinforcements departed Sydney Ulysses 19 December 1917, 35th Reinforcements departed Sydney Ormonde 2 March 1918. Formed in Queensland August 1914 for 1st Light Horse Brigade. Departed Brisbane Star of England 24 September 1914.1st Reinforcements departed Sydney Boorara 20 December 1914, 2nd Reinforcements departed Brisbane Itria 9 February 1915, 3rd Reinforcements departed Brisbane Itria 9 February 1915, 4th Reinforcements departed Brisbane Star of England 8 April 1915, 5th Reinforcements departed Newcastle Malukuta 19 May 1915, 6th Reinforcements departed Brisbane Medic 2 June 1915, 7th Reinforcements departed Sydney Shropshire 20 August 1915, 8th Reinforcements departed Brisbane Kyarra 16 August 1915, 9th Reinforcements departed Sydney Ayrshire1 September 1915, 10th Reinforcements departed Brisbane Warilda 5 October 1915, 11th Reinforcements departed Sydney Mashobra 4 October 1915, 12th Reinforcements departed Sydney Suffolk 30 November 1915, 13th Reinforcements departed Sydney Boonah 22 January 1916, 14th Reinforcements departed Brisbane Wandilla 31 January 1916, 15th Reinforcements departed Brisbane Commonwealth 28 March 1916, 16th Reinforcements departed Sydney Star of Victoria 31 March 1916, 17th Reinforcements departed Sydney Karroo 5 May 1916, 18th Reinforcements departed Brisbane Seang Choon 4 May 1916, 19th Reinforcements departed Sydney Mongolia 8 July 1916, 20th Reinforcements departed Sydney Malwa 22 July 1916, 21st Reinforcements departed Sydney Mooltan 19 August 1916, 22nd Reinforcements departed Brisbane Barunga 26 October 1916, 23rd Reinforcements departed Melbourne Boorara 10 May 1917, 24th Reinforcements departed Brisbane Hymettus 3 February 1917, 25th Reinforcements departed Sydney Karmala 3 February 1917, 26th Reinforcements departed Melbourne Boorara 10 May 1917, 27th Reinforcements departed Sydney Port Sydney 9 May 1917, 28th Reinforcements departed Sydney Ulysses 9 May 1917, 29th Reinforcements departed Sydney Kyarra 3 September 1917, 30th Reinforcements departed SydneyUlysses 19 December 1917. Formed in South Australia and Tasmania August 1914 for 1st Light Horse Brigade. Formed in Victoria August 1914 for 1st Division. Departed Melbourne Wiltshire 18 October 1914. B squadron sent to the Western Front in March 1916 and formed part of I Anzac Corps Mounted Regiment and later II Anzac Corps Mounted Regiment from 2 July 1916. 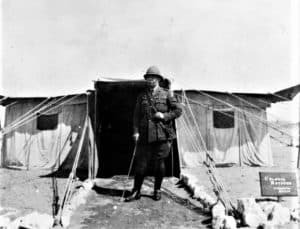 D Squadron formed at Tel El Kebir, Egypt 11 March 1916 for service in France where it formed part of II Anzac Corps Mounted Regiment from 2 July 1916. B and D Squadrons, assigned to II Anzac Corps Mounted Regiment, wore its patch (see below). The main body of the regiment was attached to 1st Light Horse Brigade March 1916. It was redesignated 3rd Camel Regiment September 1916 but a shortage of camels prevented its transformation into a camel regiment. 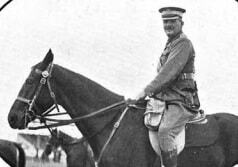 Resumed its old designation and brought up to strength again in February 1917 and assigned to the reformed 4th Light Horse Brigade. 1st Reinforcements departed Melbourne Barunga 22 December 1914, 2nd Reinforcements departed Melbourne Katuna 3 February 1915, 3rd Reinforcements departed Melbourne Katuna 3 February 1915, 4th Reinforcements departed Melbourne Wiltshire 13 April 1915, 5th Reinforcements departed Melbourne Palermo 7 May 1915, 6th Reinforcements departed Sydney Ceramic 25 June 1915, 7th Reinforcements departed Melbourne Persia 10 August 1915, 8th Reinforcements departed MelbourneKyarra 20 August 1915, 9th Reinforcements departed Melbourne Hororata 27 September 1915, 10th Reinforcements departed Melbourne Ballarat 9 September 1915, 11th Reinforcements departed Melbourne Palermo 29 October 1915, 12th Reinforcements departed Melbourne Ceramic 23 November 1915, 13th Reinforcements departed Sydney Runic 20 January 1916, 14th Reinforcements departed Melbourne Themistocles 28 January 1916, 15th Reinforcements departed Melbourne Katuna 9 March 1916 and Anchisses 14 March 1916, 16th Reinforcements departed Melbourne Itria 18 April 1916, 17th Reinforcements departed Melbourne Clan MacCorquodale 6 May 1916, 18th Reinforcements departed Melbourne Runic 20 June 1916, 19th Reinforcements departed Melbourne Mongolia 11 Ju1y 1916 and Themistocles 28 July 1916, 20th Reinforcements departed Melbourne Malwa 25 July 1916 and Port Sydney 7 September 1916, 21st Reinforcements departed Melbourne Nestor 29 September 1916, Clan MacCorquodale 19 September 1916 and Hymettus 12 September 1916, 22nd Reinforcements departed Melbourne Clan MacCorquodale 19 September 1916, 23rd Reinforcements departed Melbourne Persic 22 December 1916, 24th Reinforcements departed Melbourne Orsova 16 December 1916, 25th Reinforcements departed Melbourne Omrah 17 January 1917, 26th Reinforcements departed Melbourne Ascanius 11 May 1917, 27th Reinforcements departed Melbourne Boorara 10 May 1917 andSuevic 21 June 1917, 28th Reinforcements departed Melbourne Port Lincoln 22 June 1917, Themistocles 4 August 1917 and Kyarra 7 September 1917, 29th Reinforcements departed Sydney Anchisses 8 August 1917 and Melbourne Kyarra 7 September 1917, 30th Reinforcements departed Melbourne Commonwealth 2 November 1917 and Nestor 21 November 1917, 31st Reinforcements departed Melbourne Ulysses 22 December 1917 and Ormonde 7 March 1918, 32nd Reinforcements departed Sydney Wiltshire 2 February 1918, 33rd Reinforcements departed Sydney Canberra 16 November 1917, 34th Reinforcements departed Sydney Ulysses 19 December 1917. Formed in Queensland September 1914 for 2nd Light Horse Brigade. 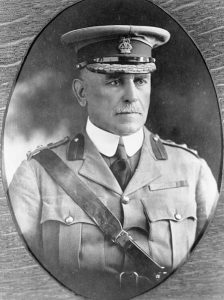 Departed Sydney Persic 21 December 1914. 1st Reinforcements departed Sydney Vestalia 19 December 1914, 2nd Reinforcements departed Brisbane Itria 9 February 1915, 3rd Reinforcements departed Brisbane Itria 9 February 1915, 4th Reinforcements departed Brisbane Star of England 8 April 1915, 5th Reinforcements departed Newcastle Malukuta 19 May 1915, 6th Reinforcements departed Brisbane Karoola 12 June 1915, 7th Reinforcements departed Sydney Shropshire 20 August 1915, 8th Reinforcements departed Brisbane Kyarra 16 August 1915, 9th Reinforcements departed Brisbane Hymettus 17 September 1915, 10th Reinforcements departed Brisbane Warilda 5 October 1915, 11th Reinforcements departed Sydney Mashobra 4 October 1915, Hawkes Bay 23 October 1915, 12th Reinforcements departed Sydney Hawkes Bay 23 October 1915, Suffolk 30 November 1915, 13th Reinforcements departed Brisbane Kyarra 3 January 1916, 14th Reinforcements departed Brisbane Wandilla 31 January 1916, 15th Reinforcements departed Brisbane Orsova 11 March 1916, 16th Reinforcements departed SydneyMashobra 5 April 1916, 17th Reinforcements departed Sydney Karroo 5 May 1916, 18th Reinforcements departed Brisbane Seang Choon 4 May 1916, 19th Reinforcements departed Sydney Mongolia 8 July 1916, 20th Reinforcements departed Sydney Malwa 22 July 1916, 21st Reinforcements departed Sydney Kabinga 12 September 1916, 22nd Reinforcements departed Brisbane Barunga 26 October 1916, 23rd Reinforcements departed Melbourne Boorara 10 May 1917, 24th Reinforcements departed Brisbane Hymettus 3 February 1917, 25th Reinforcements departed Sydney Karmala 3 February 1917, 26th Reinforcements departed Melbourne Boorara 10 May 1917, 27th Reinforcements departed Sydney Port Sydney 9 May 1917, 28th Reinforcements departed Sydney Port Sydney 9 May 1917, 29th Reinforcements departed SydneyKyarra 3 September 1917, 30th Reinforcements departed Sydney Ormonde 2 March 1918.. Formed in New South Wales September 1914 for 2nd Light Horse Brigade. Departed Sydney Suevic 21 December 1914. 1st Reinforcements departed Sydney Bakara 22 December 1914, 2nd Reinforcements departed Sydney Marere 20 February 1915, 3rd Reinforcements departed Sydney Clan MacCorquodale 6 February 1915, 4th Reinforcements departed Sydney Shropshire 17 March 1915, 5th Reinforcements departed Sydney Kabinga 20 May 1915 and Bakara 22 May 1915, 6th Reinforcements departed Sydney Clan McEwan 30 June 1915, 7th Reinforcements departed Sydney Chilka 7 June 1915, 8th Reinforcements departed Sydney Suffolk 28 July 1915, 9th Reinforcements departed Sydney Argyleshire 30 September 1915, 10th Reinforcements departed Sydney Themistocles 5 October 1915 and Pera 13 October 1915, 11th Reinforcements departed Sydney Hawkes Bay 23 October 1915 and Euripedes 2 November 1915, 12th Reinforcements departed Sydney Hawkes Bay 23 October 1915 andPersic 18 November 1915, 13th Reinforcements departed Sydney Aeneas 20 December 1915, 14th Reinforcements departed Sydney Wandilla 3 February 1916, 15th Reinforcements departed Sydney Pera 22 March 1916, 16th Reinforcements departed Sydney Hymettus 3 May 1916, 17th Reinforcements departed Sydney Port MacQuarie 26 April 1916, 18th Reinforcements departed Sydney Hororata 2 May 1916, 19th Reinforcements departed Sydney Mongolia 8 July 1916, 20th Reinforcements departed Sydney Anglo-Egyptian 19 September 1916, 21st Reinforcements departed Sydney Kabinga 12 September 1916, Anglo-Egyptian 19 September 1916 and Katuna23 November 1916, 22nd Reinforcements departed Sydney Katuna 23 November 1916, 23rd Reinforcements departed Sydney Karmala 3 February 1917, 24th Reinforcements departed Sydney Itria 28 February 1917 and Boorara 10 May 1917, 25th Reinforcements departed Sydney Boorara 10 May 1917, 26th Reinforcements departed Sydney Boorara 10 May 1917, 27th Reinforcements departed Sydney Port Sydney 9 May 1917, 28th Reinforcements departed Sydney Port Lincoln 11 June 1917, 29th Reinforcements departed Sydney Kyarra 3 September 1917, 30th Reinforcements departed Melbourne Commonwealth 2 November 1917, 31st Reinforcements departed Melbourne Commonwealth 2 November 1917, 32nd Reinforcements departed Melbourne Commonwealth 2 November 1917, 33rd Reinforcements departed Sydney Canberra 16 November 1917, 34th Reinforcements departed Sydney Ormonde 2 March 1918. Formed in New South Wales September 1914 for 2nd Light Horse Brigade. Departed Sydney Ajana 19 December 1914 and Ayrshire 20 December 1914. 1st Reinforcements departed Sydney Berrima 19 December 1914, 2nd Reinforcements departed Sydney Saldanha 20 February 1915, 3rd Reinforcements departed Sydney Hymettus 5 February 1915, 4th Reinforcements departed Sydney Argyleshire 10 April 1915, 5th Reinforcements departed Sydney Kabinga 20 May 1915, 6th Reinforcements departed SydneyUganda 15 June 1915, 7th Reinforcements departed Sydney Chilka 7 June 1915, 8th Reinforcements departed Sydney Suffolk 28 July 1915, 9th Reinforcements departed Sydney Argyleshire 30 September 1915, 10th Reinforcements departed Sydney Themistocles 5 October 1915, 11th Reinforcements departed Sydney Hawkes Bay 23 October 1915, 12th Reinforcements departed Sydney Hawkes Bay 23 October 1915, Euripedes 2 November 1915, and Persic 18 November 1915, 13th Reinforcements departed Sydney Aeneas 20 December 1915, 14th Reinforcements departed Sydney Malakuta 16 March 1916, 15th Reinforcements departed Sydney Orsova 11 March 1916, 16th Reinforcements departed Sydney Palermo 18 April 1916, 17th Reinforcements departed Sydney Port MacQuarie 26 April 1916, 18th Reinforcements departed Sydney Hororata 2 May 1916, 19th Reinforcements departed Sydney Mongolia 8 July 1916, 20th Reinforcements departed Sydney Malwa 22 July 1916, 21st Reinforcements departed Sydney Katuna 23 November 1916, 22nd Reinforcements departed Sydney Katuna 23 November 1916, 23rd Reinforcements departed SydneyBoorara 10 May 1917, 24th Reinforcements departed Sydney Boorara 10 May 1917, 25th Reinforcements departed Sydney Boorara 10 May 1917, 26th Reinforcements departed Sydney Boorara 10 May 1917, 27th Reinforcements departed Sydney Port Sydney 9 May 1917, 28th Reinforcements departed Sydney Port Lincoln 11 June 1917, 29th Reinforcements departed Sydney Kyarra 3 September 1917, 30th Reinforcements departed Melbourne Commonwealth 2 November 1917, 31st Reinforcements departed Melbourne Commonwealth 2 November 1917, 32nd Reinforcements departed Melbourne Commonwealth 2 November 1917, 33rd Reinforcements departed Sydney Canberra 16 November 1917, 34th Reinforcements departed Sydney Ulysses 19 December 1917, 35th Reinforcements departed Sydney Ormonde 2 March 1918. Formed in Victoria October 1914 for 3rd Light Horse Brigade. Formed in South Australia October 1914 for 3rd Light Horse Brigade. Departed Melbourne Karroo 11 February 1915 and Armadale 12 February 1915. 1st Reinforcements departed Melbourne Surada 6 February 1915, 2nd Reinforcements departed Melbourne Armadale 12 February 1915, 3rd Reinforcements departed Melbourne Mashobra 29 January and Pera 8 February 1915, 4th Reinforcements departed Melbourne Wiltshire 13 April 1915 and Adelaide Port Lincoln 1 April 1915, 5th Reinforcements departed departed Melbourne Kabinga 8 May 1916 and Adelaide Botanist 2 June 1915, 6th Reinforcements departed Melbourne Afric 22 May 1915 and Adelaide Afric 26 May 1915, 7th Reinforcements departed Adelaide Kanowna 24 June 1915 and Sydney Marere 16 August 1915, 8th Reinforcements departed Adelaide Morea 26 August 1915 and Melbourne Kyarra 21 August 1915, 9th Reinforcements departed Adelaide Star of England 21 September 1915 and Melbourne Hororata 27 September 1915, 10th Reinforcements departed Melbourne Ballarat 9 September 1915 and Adelaide Ballarat 14 September 1915, 11th Reinforcements departed Melbourne Hawkes Bay 28 October 1915 and Melbourne Ulysses 27 October 1915 and Adelaide Benalla 27 October 1915, 12th Reinforcements departed Adelaide Geelong 18 November 1915 and Melbourne Ceramic 23 November 1915, 13th Reinforcements departed Adelaide Borda 11 January 1916 and Melbourne Afric 5 January 1916, 14th Reinforcements departed Adelaide Warilda 10 February 1916, 15th Reinforcements departed Adelaide Anchises 16 March 1916, 16th Reinforcements departed Adelaide Bakara 29 April 1916, 17th Reinforcements departed Melbourne Kabinga 8 May 1916, 18th Reinforcements departed Adelaide Katuna 23 June 1916, 19th Reinforcements departed AdelaideMongolia 13 July 1916, 20th Reinforcements departed Adelaide Malwa 27 July 1916, 21st Reinforcements departed Adelaide Mooltan 24 August 1916, 22nd Reinforcements departed Adelaide Bakara 4 November 1916, 23rd Reinforcements departed Adelaide Bulla 16 January 1917, 24th Reinforcements departed Adelaide Clan MacCorquodale5 February 1917, 25th Reinforcements departed Adelaide Karmala 8 February 1917, 26th Reinforcements departed Adelaide Morea 22 February 1917 and Fremantle Morea26 February 1917, 27th Reinforcements departed Sydney Port Sydney 9 May 1917, 28th Reinforcements departed Melbourne Port Lincoln 22 June 1917, MelbourneKyarra 7 September 1917, Melbourne Commonwealth 2 November 1917, 29th Reinforcements departed Melbourne Port Lincoln 22 June 1917, Kyarra 17 September 1917, Melbourne Commonwealth 2 November 1917, 30th Reinforcements departed Melbourne Commonwealth 2 November 1917, 31st Reinforcements departed Melbourne Commonwealth 2 November 1917, 32nd Reinforcements departed Melbourne Commonwealth 2 November 1917, 33rd Reinforcements departed Sydney Port Darwin 30 April 1918, 34th Reinforcements departed Sydney Port Darwin 30 April 1918. Formed in Western Australia October 1914 for 3rd Light Horse Brigade. 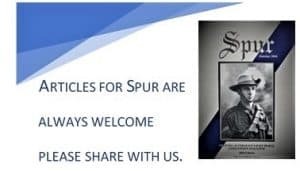 Departed Fremantle Mashobra 8 February 1915 and Surada 17 February 1915, 1st Reinforcements departed Fremantle Surada 17 February 1915, 2nd Reinforcements departed Fremantle Itonus 22 February 1915, 3rd Reinforcements departed Fremantle Itonus 22 February 1915, 4th Reinforcements departed Fremantle Argyleshire 19 April 1915, 5th Reinforcements departed Fremantle Hororata 26 April 1915, 6th Reinforcements departed Fremantle Karoola 25 June 1915, 7th Reinforcements departed Fremantle Kanowna 2 July 1915, 8th Reinforcements departed Fremantle Anchises 2 September 1915, 9th Reinforcements departed Fremantle Hororata 5 October 1915, 10th Reinforcements departed Fremantle Themistocles 13 October 1915, 11th Reinforcements departed Fremantle Themistocles 13 October 1915 and Benalla 1 November 1915, 12th Reinforcements departed Fremantle Mongolia 23 November 1915, 13th Reinforcements departed Fremantle Borda 17 January 1916, 14th Reinforcements departed Fremantle Warilda 16 February 1916, 15th Reinforcements departed Fremantle Ulysses 1 April 1916, 16th Reinforcements departed Fremantle Surada 16 May 1916, 17th Reinforcements departed Fremantle Surada 16 May 1916, 18th Reinforcements departed Fremantle Morea 6 June 1916, 19th Reinforcements departed Fremantle Mongolia ? 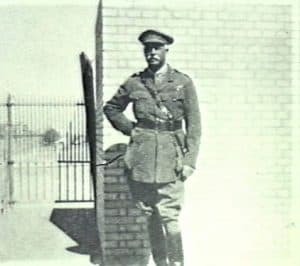 July 1916, 20th Reinforcements departed Fremantle Malwa 31 July 1916, 21st Reinforcements departed Fremantle Mooltan 28 August 1916, 22nd Reinforcements departed Adelaide Bakara 4 November 1916, 23rd Reinforcements departed FremantleBulla 22 January 1917, 24th Reinforcements departed Fremantle Clan MacCorquodale 13 February 1917, 25th Reinforcements departed Fremantle Karmala 12 February 1917, 26th Reinforcements departed Fremantle Morea 26 February 1917, 27th Reinforcements departed Fremantle Port Sydney 22 May 1917, 28th Reinforcements departed Fremantle Port Sydney 22 May 1917, 29th Reinforcements departed Fremantle Port Lincoln 30 June 1917, 30th Reinforcements departed Fremantle Kyarra 17 July 1917, 31st Reinforcements departed Fremantle Commonwealth 9 November 1917, 32nd Reinforcements departed Fremantle Commonwealth 9 November 1917, 33rd Reinforcements departed Fremantle Ormonde 13 March 1918. Formed in Queensland February 1915 for 4th Light Horse Brigade. Departed Brisbane Medic 2 June 1915 less B Squadron which departed Brisbane Borda 17 June 1916. Relieved of assignment to 4th Light Horse Brigade 26 August 1915 and broken up. A Squadron and Machine Gun Section attached to 2nd Light Horse Regiment, B Squadron attached to 5th Light Horse Regiment, C Squadron attached to 9th Light Horse Regiment. Reconstituted at Maadi, Egypt 20 February 1916 and assigned to 4th Division. Relieved of assignment to 4th Division 4 March 1916 and attached to 2nd Light Horse Brigade. Redesignated 1st Camel Regiment September 1916. Resumed its original identity and assigned to reformed 4th Light Horse Brigade February 1917. 1st Reinforcements departed Adelaide Borda 23 June 1915 and Brisbane Medic 2 June 1915, 2nd Reinforcements departed Sydney Shropshire 20 August 1915 and Adelaide Kanowna 24 June 1915, 3rd Reinforcements departed Brisbane Kyarra 16 August 1915 and Adelaide Star of England 21 September 1915, 5th Reinforcements departed Brisbane Warilda 5 October 1915 and Adelaide Ballarat 14 September 1915, 6th Reinforcements departed Sydney Mashobra 4 October 1915, Sydney Hawkes Bay 23 October 1915, Melbourne Hawkes Bay 28 October 1915 and Adelaide Benalla 27 October 1915, 7th Reinforcements departed Sydney Suffolk 30 November 1915, Sydney Hawkes Bay 23 October 1915 and Adelaide Geelong 18 November 1915, 8th Reinforcements departed Sydney Karroo 5 May 1916, 9th Reinforcements departed Brisbane Seang Choon 4 May 1916, 10th Reinforcements departed Sydney Mongolia 8 July 1916, 11th Reinforcements departed Sydney Malwa 22 July 1916, 12th Reinforcements departed Sydney Mooltan 19 August 1916, 13th Reinforcements departed Melbourne Clan MacEwan 9 October 1916, 18th Reinforcements departed Sydney Port Sydney 9 May 1917, 19th Reinforcements departed Sydney Port Sydney 9 May 1917, 20th Reinforcements departed Sydney Ulysses 19 December 1917. Formed in New South Wales for 4th Light Horse Brigade. Departed Sydney Suevic 13 June 1915 Relieved of assignment to 4th Light Horse Brigade 26 August 1915 and broken up. A Squadron and Machine Gun Section attached to 1st Light Horse Regiment, B Squadron attached to 7th Light Horse Regiment, C Squadron attached to 6th Light Horse Regiment. Reconstituted at Maadi, Egypt 20 February 1916 and assigned to 5th Division. Relieved of assignment to 5th Division 4 March 1916 and attached to 3rd Light Horse Brigade. Redesignated 2nd Camel Regiment September 1916. Resumed its original identity and assigned to reformed 4th Light Horse Brigade February 1917.1st Reinforcements departed Sydney Ceramic 25 June 1915, 2nd Reinforcements departed Sydney Chilka 7 June 1915, 3rd Reinforcements departed Sydney Runic 9 August 1915, 4th Reinforcements departed Sydney Argyleshire 30 September 1915, 5th Reinforcements departed Sydney Themistocles 5 October 1915, 6th Reinforcements departed SydneyHawkes Bay 23 October 1915 and Moldavia 2 October 1915, 7th Reinforcements departed Sydney Hawkes Bay 23 October 1915 and Uganda 20 November 1915, 8th Reinforcements departed Sydney Karroo 5 May 1916, 9th Reinforcements departed Sydney Hororata 2 May 1916, 10th Reinforcements departed Sydney Mongolia 8 July 1916, 11th Reinforcements departed Sydney Anglo-Egyptian 19 September 1916, 12th Reinforcements departed Sydney Kabinga 12 September 1916, 13th Reinforcements departed Sydney Clan MacCorquodale 19 September 1916, 18th departed Sydney Port Sydney 9 May 1917, 19th Reinforcements departed Sydney Port Lincoln 11 June 1917, 20th Reinforcements departed Sydney Kyarra 3 September 1917, 21st Reinforcements departed Melbourne Kyarra 7 September 1917, 22nd Reinforcements departed Melbourne Commonwealth 2 November 1917, 23rd Reinforcements departed Sydney Canberra 16 November 1917. Formed in Victoria for 4th Light Horse Brigade. Departed Melbourne Persic 28 May 1915. 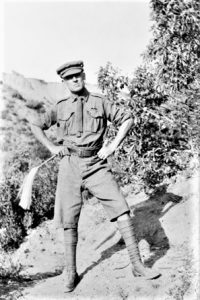 Relieved of assignment to 4th Light Horse Brigade 26 August 1915 and assigned to 2nd Division as its divisional mounted regiment. On 10 March 1916 the establishment was changed to one light horse squadron per division. A, B and C Squadrons were reassigned to 2nd, 4th and 5th Divisions respectively and Headquarters and Machinegun Section were dispersed. When the establishment was again changed to have a single mounted regiment under corps control, it was decided to reassemble the regiment. Headquarters and Machinegun Section reformed at Tel El Kebir, Egypt in May 1916 and accompanied the 5th Division to France where the whole regiment was reassembled on 2 July1916. Assigned to I Anzac Corps from 2 July 1916 and Australian Corps from 2 March 1918. 1st Reinforcements departed Sydney Ceramic 25 June 1915, 2nd Reinforcements departed Melbourne Malakuta 23 September 1915, 3rd Reinforcements departed Melbourne Kyarra 20 August 1915, 4th Reinforcements departed Melbourne Hororata 27 September 1915, 5th Reinforcements departed Melbourne Ballarat 9 September 1915, 6th Reinforcements departed Melbourne Hawkes Bay 28 October 1915 and Ulysses 27 October 1915, 7th Reinforcements departed Melbourne Ceramic23 November 1915, 8th Reinforcements departed Melbourne Clan MacCorquodale 6 May 1916, 9th Reinforcements departed Melbourne Ayrshire 3 July 1916, 10th Reinforcements departed Melbourne Themistocles 28 July 1916, 11th Reinforcements departed Melbourne Pera 23 September 1916, 12th Reinforcements departed Melbourne Borda 20 October 1916, 13th Reinforcements departed departed Melbourne Ulysses 25 October 1916, 14th Reinforcements departed Melbourne Persic 22 December 1916, 15th Reinforcements departed Melbourne Orsova 16 December 1916, 16th Reinforcements departed Melbourne Omrah 17 January 1917, 17th Reinforcements departed Melbourne Ascanius 11 May 1917, 18th Reinforcements departed Melbourne Suevic 21 June 1917, 19th Reinforcements departed MelbourneThemistocles 4 August 1917, 20th Reinforcements departed Melbourne Themistocles 4 August 1917, 21st Reinforcements departed Melbourne Nestor 21 November 1917, 22nd Reinforcements departed Melbourne Ulysses 22 December 1917, 23rd Reinforcements departed Sydney Wiltshire 2 February 1918. Formed in Queensland March 1916 for 3rd Division. 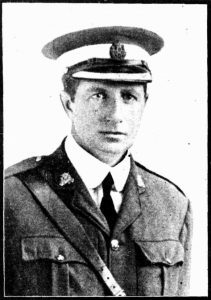 Departed Sydney Beltana 13 May 1916. The 14th Light Horse Regiment was originally intended to be the light horse regiment of the 3rd Division. Before it could be formed, the establishment was reduced to only one squadron per division. Accordingly, only A Squadron was formed. It accompanied the 3rd Division to England where it was disbanded, the infantry division establishment having been changed again in the mean time to remove the divisional mounted troops. Formed in Palestine July 1918 from 1st Camel Battalion and assigned to 5th Light Horse Brigade. Formed in Palestine July 1918 from 3rd Camel Battalion and assigned to 5th Light Horse Brigade. These were formed in France as corps mounted regiments. Even though the different title, the Australian components were organised as light horse. Formed in France April 1916 from B Squadron, 4th Light Horse Regiment, A Squadron, 13th Light Horse Regiment and a squadron of New Zealand Otago Mounted Rifles Regiment and assigned to I Anzac Corps. Disbanded June 1916. 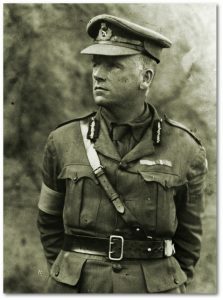 Personnel to 13th Light Horse Regiment and II Anzac Mounted Regiment. Formed in France July 1916 from B and D Squadrons, 4th Light Horse Regiment and a squadron of the New Zealand Otago Mounted Rifles Regiment and assigned to II Anzac Corps. Disbanded December 1918; personnel transferred to13th Light Horse Regiment. These were dismounted units formed in Egypt in June 1916 from light horse reinforcements for the defence of the Suez Canal. 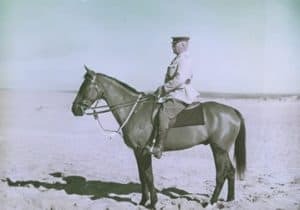 Formed in Egypt 23 May 1916 from light horse reinforcements. Broken up to form Camel Regiments September 1916. 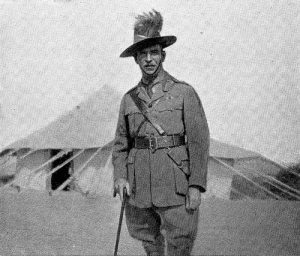 Formed inEgypt 23 May 1916 from light horse reinforcements. Broken up to form Camel Regiments September 1916. These were units for training light horse reinforcements. Formed in Egypt March 1916. Supplied reinforcements for the 1st Light Horse Brigade. Disbanded July 1918. Formed Egypt March 1916. Supplied reinforcements for the 2nd Light Horse Brigade. Disbanded July 1918. Formed in Egypt March 1916. Supplied reinforcements for the 3rd Light Horse Brigade. Disbanded July 1918. Formed in Egypt February 1917. Supplied reinforcements for the 4th Light Horse Brigade. Disbanded July 1918. Formed in Egypt July 1918. Supplied reinforcements for the 1st Light Horse Brigade and 2nd Light Horse Brigade. Formed in Egypt July 1918. Supplied reinforcements for the 3rd Light Horse Brigade and 4th Light Horse Brigade. Formed in Tidworth, England 1916. Supplied reinforcements for the 13th Light Horse Regiment. Disbanded 11 May 1917. Formed in Egypt July 1918. Supplied reinforcements for the 14th Light Horse Regiment. Formed in Egypt July 1918. Supplied reinforcements for the 15th Light Horse Regiment. This unit trained light horse reinforcements for the 4th and 13th Light Horse on the Western Front. Formed in Tidworth, England 11 May 1917.